(Damascus) Islamist rebels have launched an offensive north of Damascus to Deir Atieh. 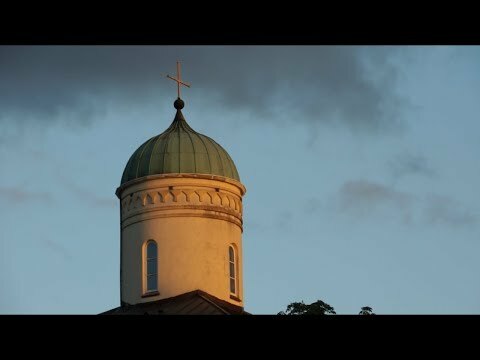 In the city with a population of 25,000 there is a strong Christian minority. On 22 November the attack began with two suicide bombings. With the second attack wave, the hospital was taken and the patients and staff were taken hostage. The Islamists took time to destroy a museum with thousands of archaeological finds. The Greek Orthodox Church is concerned about the fate of Christians in Deir Atieh. The churches of the city were targeted by the Islamists. The same applies to Alawi mosques. Civilians have been abused by Islamists in the street fighting being used as human shields. The attacks seem to be made according to a certain scheme. Conquest of the hospital, destruction of Christian and Alawite places of worship and hostage-taking. Also, in Deir Atieh the Christians of the city, which the Islamists were getting hold of, were prevented from escaping the city and held hostage. A Greek Orthodox priest succeeded in fleeing under adventurous circumstances, so that he could report on the situation in Deir Atieh. The Islamist attack on Deir Atieh is part of a larger offensive against the Qalamun Mountains after the Syrian army managed to retake the strategically important town of Qara. There is the city Sadnaya with several monasteries dating back to the first millennium AD. The rebels tried to take the monastery Cherubim, which is located at the highest elevation in Saidnaya. The monastery at about 2000 meters above sea level dates back to its origin from the Byzantine period. 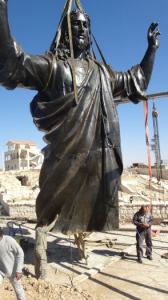 Above the monastery a 39 meter high statue of Jesus Christ was consecrated and erected on October 14th. In order to deliver the statue, the Christians had reached a truce of three days between the army and rebels. Meanwhile, the Islamists seem to have, however, changed opinion. The monastery is no longer considered a combat-free zone for them. With the battle cry of Allahu Akbar, Islamists stormed the monastery, which was guarded by a small unit of the Syrian army with a tank. They were able to fend off the attack. "Currently, the location is quiet. We were attacked for two days. The rebels continued here also include snipers. The attack was repulsed, "said one soldier.